Here’s a cost effective way to make natural insect repellents that really work! 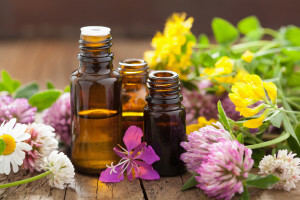 There are a number of essential oils that insects find distasteful or cause them to become confused. You’re about to learn how to use that to your advantage. Since oil and water don’t mix, you’ll need to use a carrier oil or alcohol to create your repellent. We’ve included a list of some that are safe for contact with skin. Be sure to use the recommended ratios to avoid the irritation that some essential oils can cause. Therapeutic grade oils are your best choice. And, of course, if you are pregnant or nursing, you should check with your physician about the safety of using these recipes. These formulas will work for pets too. However, you should check with your vet first because, while, many essential oils are safe to use on pets, not all are. Mix the essential oils with the carrier oil or alcohol and rub or spray onto skin or clothing and reapply as needed. Store in a dark bottle away from sunlight and enjoy the outdoors! P.S. Applying undiluted essential oils directly to the skin is generally not recommended. However, several sources say that one drop of rose geranium on each ankle, wrist, elbow and at the base of the skull works like a charm to repel ticks. If you decide to give it a try, please test an area with a single drop first. If you experience numbness or irritation, avoid further undiluted use. A single drop between the shoulder blades of your dog or cat should keep them tick free as well.